You can book the special offer for two weeks from 15 April onwards and buy two admission tickets for the price of one regular ticket of €12.50. The tickets can be purchased until 28 April. The visit to the museum is possible with this ticket for two persons on one day of your choice in May and June 2019 during the regular opening hours. 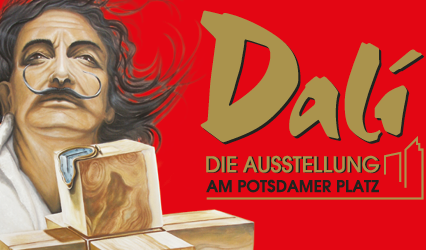 The museum "Dalí – Die Ausstellung am Potsdamer Platz" starts its tenth year in Berlin on February 5th 2018. 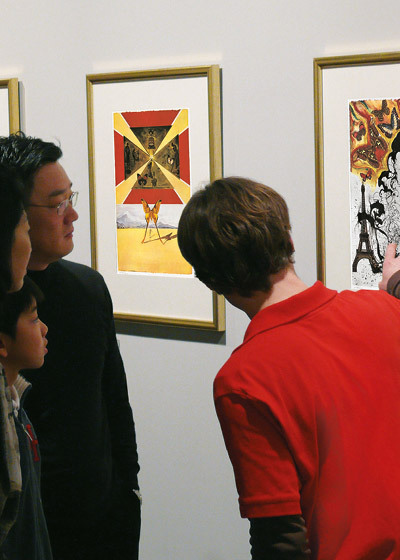 On this occasion, new art works are exhibited. 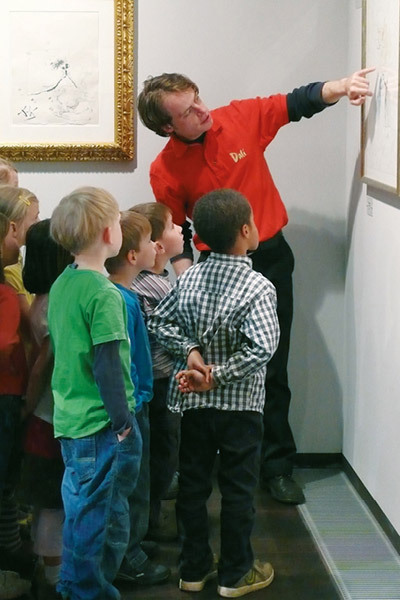 On the birthday of the museum each visitor receives a free guide of their choice as a gift! 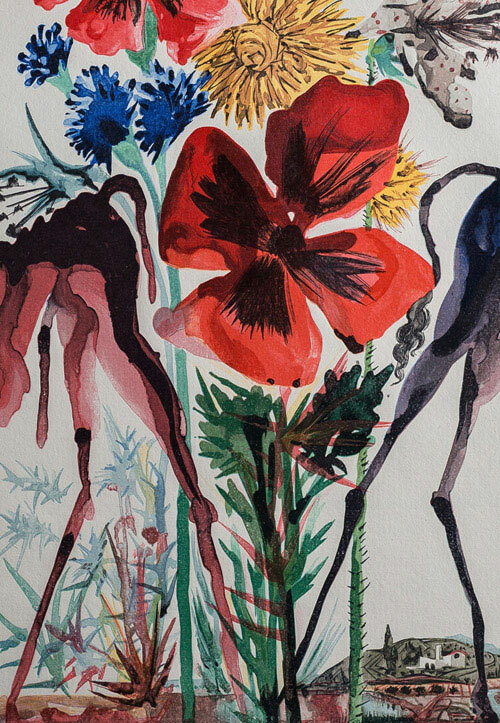 “Surrealism for all” – this is the spirit in which over 450 original exhibits of this enigmatic personality are permanently on view in our museum at Potsdamer Platz. 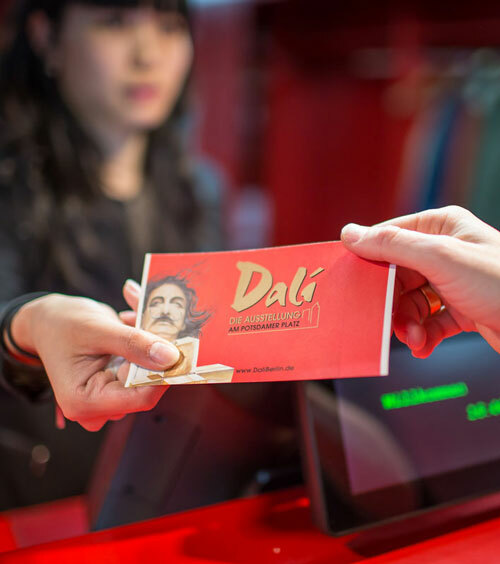 The fastest way to your ticket. Buy your ticket online. The museum is open daily for you. The biography below provides selected illustrations of the major events in his life. 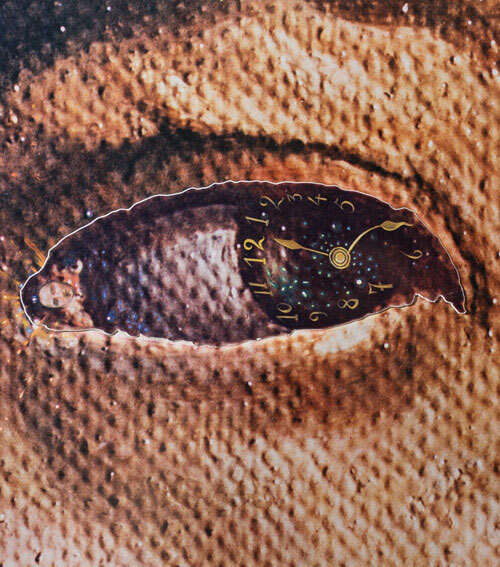 The selection is made by Dalí himself. 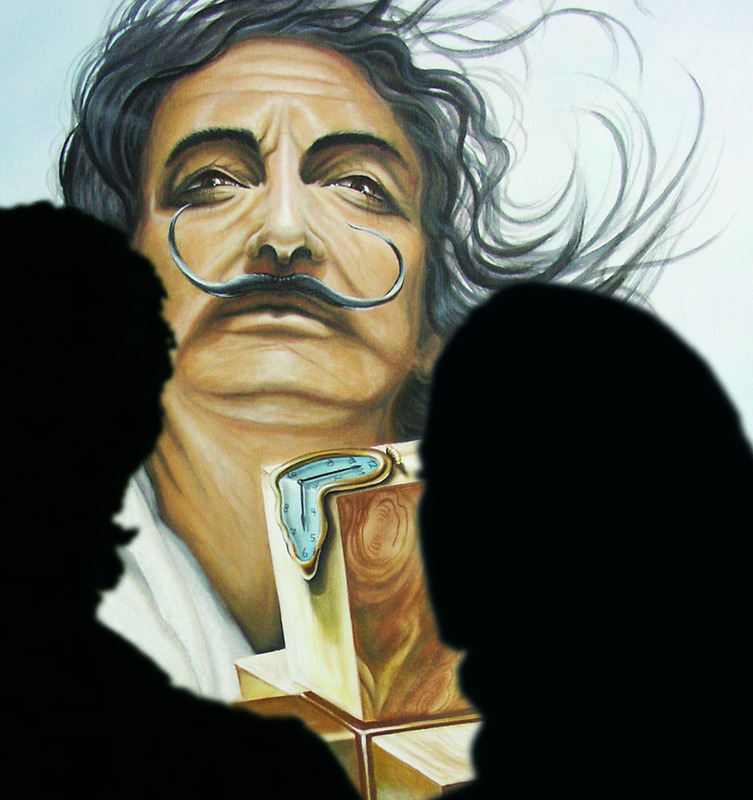 The museum provides various possibilities to faciliate your way into Dalí's surreal art world.